Before you take a trip from the United States to any other country, you should always research the specific visa requirements for that area to help make sure that your trip goes off without a delay. Many people don’t realize that there are actually a large number of different countries in the world that don’t require US citizens to present a visa at the time of their trip. You will also have to obtain a different type of visa depending on why you’re traveling in the first place. 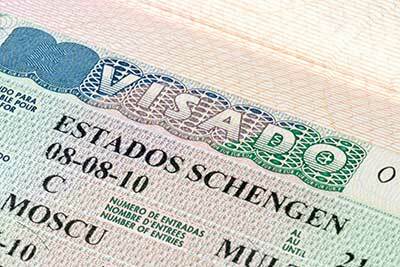 Tourism visas, study visas, business visas and even resident visas are all viable options. You will need to submit a few important documents along with your application. You will need to provide proof of your identity, for example, which can come in the form of a copy of your birth certificate or an existing US passport that will be valid for at least six more months from the time of your trip. You will also need to submit a passport-style photograph, which is a two inch by two inch shot of the front view of your face. After filling out your visa application and submitting all necessary documents, processing is typically handled by the embassy of the country that you plan on traveling to. Many countries allow you to fill out and even submit forms online, but not all make that service available just yet. One of the most important things to remember about a visa application is that processing times can vary wildly depending on a number of factors including where you live in the US, the country you plan on traveling to and the time of year during which you’re applying. As a rule of thumb, you should always allow at least six weeks for processing prior to your departure date. If your trip abroad is fast approaching and you find that you just can’t wait the four to six weeks for standard visa processing, don’t fret – you still have other options. Expedited visa services exist for exactly these types of situations. In exchange for an appropriate fee, a representative will take all of your required documents and submit them on your behalf. This can cut the processing time down to as little as 24 to 48 hours, though it may take a bit longer depending on the area of the country where you live and what time of year you plan on traveling.